There’s much discussion at the moment in the social sector around the idea of ‘shared measurement’ – using common tools to track progress across similar organisations. It’s about coming up with ways that we can share approaches and learn from them. 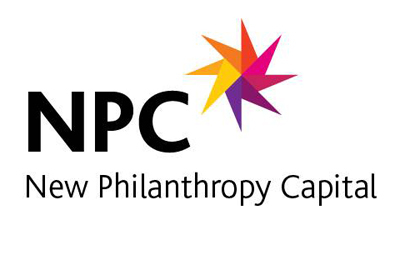 This is a principle that is integral to the Inspiring Impact programme, a growing coalition of like-minded organisations which aims to help the voluntary sector maximise its impact and demonstrate its worth, supported by the Big Lottery Fund, HM Government and a wealth of independent grant-making trusts. But we know that shared measurement doesn’t work unless it is adaptable and nuanced enough to account for individual circumstances and the different starting points of organisations and the people they work with. It’s flexible – you can choose which areas of well-being to measure, add your own questions, or use it to do a survey on a rolling basis. Read more about these features here. It takes account of the starting point of young people – all your results are translated into scores of between 0 and 100, showing how they compare to a national baseline. So you can see the well-being of young people when they arrive and how much it improves, which will differ according to your group. It’s been tested on a wide variety of young people – it’s been used in schools, and by charities working with young people in the care system, on outdoor learning programmes, in community centres, that have chronic condition, that are homeless, and more. It’s been designed based on feedback from more than 20 organisations – for a list of organisations, see our acknowledgement page. We also invite feedback from customers so that we can continue to improve the Measure. The Well-being Measure is designed to help you to prove your impact, tell your story, test what works, and learn how to improve. The principle of shared measurement provides a useful backdrop to that aim. To learn more about our Well-being Measure and how it could help you, watch our online demos here. You can read more about the Inspiring Impact programme or join the growing group of organisations lending their support here.